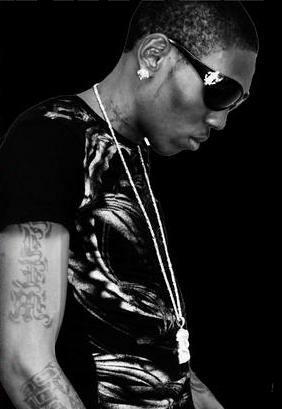 Despite reports that Dancehall deejay Vybz Kartel has rejected rival deejay Mavado's olive branch by turning down his birthday party invitation, Kartel maintains that he is willing to put aside differences with his arch-musical-rival to call for an end to violence associated with the Gaza/Gully feud, particularly among high school students. Both artists have been slammed by the local media, as reports of increasing violence at local schools between fans of the Portmore, or 'Gaza,' Empire led by Vybz Kartel and the Gully Squad led by Mavado continue to flood the news, causing even the government to be concerned about mounting social tensions stemming from the feud between the two entertainers. On Friday, the Jamaica Star newspaper reported that Mavado was calling for an end to the Gaza/Gully war by inviting Vybz Kartel to attend his birthday party at Temple Hall on December 5th. The paper stated that Mavado's management said they wanted to publicly invite Kartel to make peace once and for all, as a show of unity to the nation. "I will not be able to attend (Mavado's event) due to previously planned engagements," states Adidja 'Vybz Kartel' Palmer invitation, citing commitments to Usain Bolt's 9.58 SuperParty and an event in Linstead on the same night. "What I think is the best way to solidify in the minds of the children that this Gaza/Gully feud is merely music, is not to accommodate a historic 'burning of the peace pipe' at a commercial, adult oriented event, but rather in the high schools where bouts of violence due to our feuding are most prominent," states Kartel "When a date for that is set, I will readily appear." Vybz Kartel has repeatedly spoken out against violence within the island's schools, condemning the sale of 'Gaza buttons' and other paraphernalia depicting violent images of the feud in Corporate Area Schools earlier this month. This year, Vybz Kartel has released the singles "Teenage Pregnancy" with Portmore Empire artist Gaza Kim, and the "Schooler's Anthem" with Gaza Kim and fellow Empire artist Jah Vinci, bringing awareness to social issues affecting teens and encouraging them to stay in school.